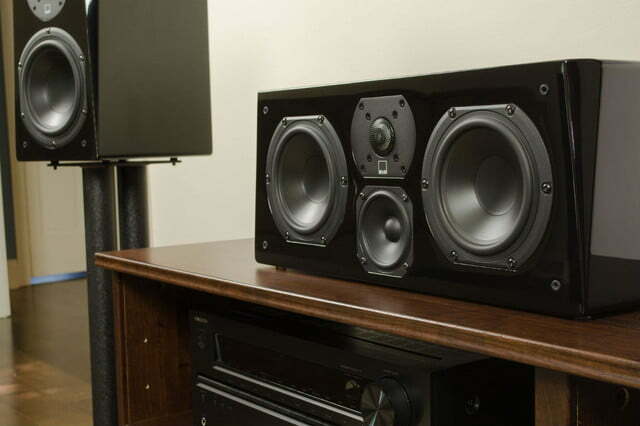 If you’ve read our review of SVS’ Ultra Series home theater line, you’ll recall we had a hard time finding anything bad to say about the gorgeous speakers, which seemed to excel at virtually everything. 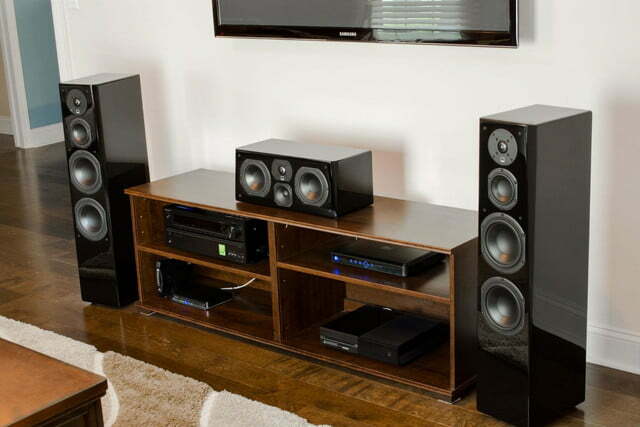 Now the American company is back with its second take at a complete home theater series, unveiling the more affordable new Prime series Towers, Bookshelves, Satellites, and Center channel, as well as its new PC-2000 cylindrical subwoofer. 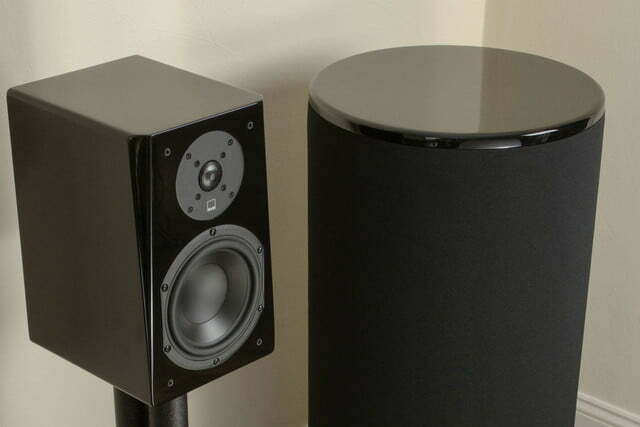 If we had one reluctant complaint to lodge about the SVS Ultra series floor speakers, it would be that the pyramid-shaped monoliths are a bit too bulky for some settings. The Prime Series Towers are available with the same opulent piano lacquer finish as the Ultra, but in a slightly pared-down form factor. 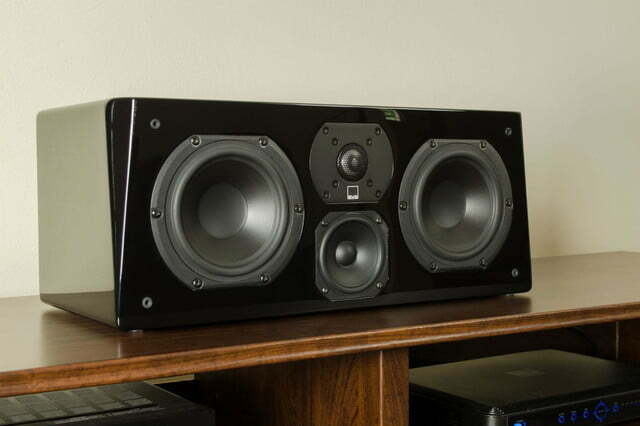 Like all of the new Prime speakers, users can also save some serious green by going with the more affordable Black Ash finish. Tech from the premium Ultra Series trickles down to the Towers, which means users should get sound reminiscent of the Ultras, at as little as half the price. 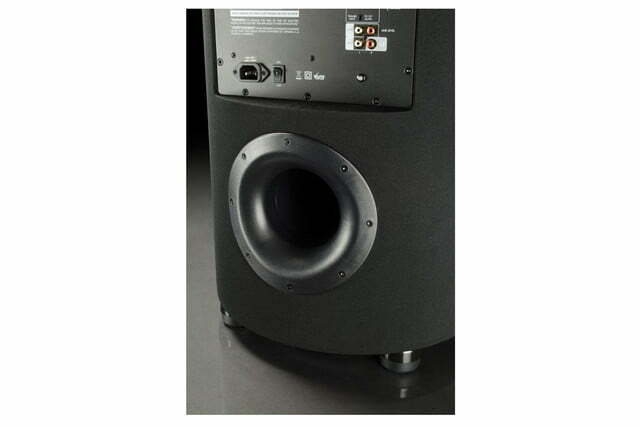 Embedded into the new Prime Towers are a pair of individually-tuned 6.5-inch woofers with with a stiffened propylene cone and an aluminum shorting ring for the motor to ensure extremely low distortion. The woofers are matched by a single 4.5-inch midrange driver, and the series’ signature 1-inch aluminum dome tweeter. 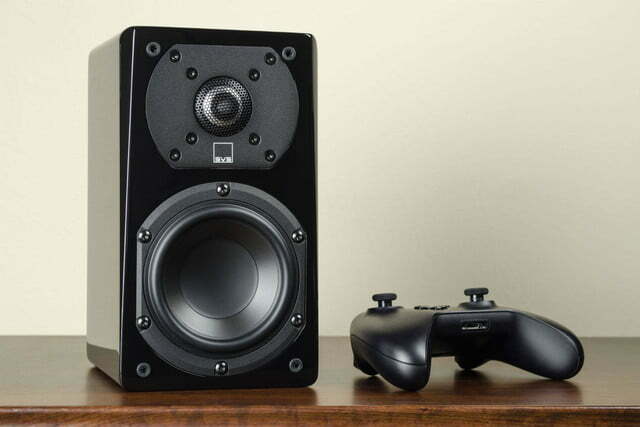 The Prime floor speakers also borrow from the Ultra’s 3.5-way crossover configuration, though a new design which appears to leverage part of the second 6.5-inch woofer to cover both bass, and the lower midrange. 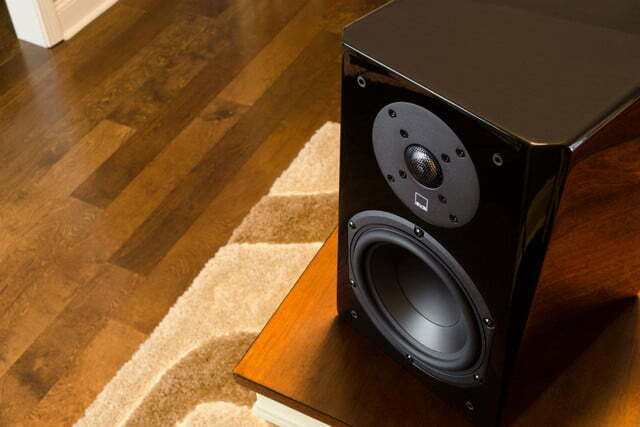 While SVS isn’t disclosing its secrets, the company did say its new setup creates “deep bass extension and a cohesive sonic presentation,” and based on our past SVS experience, we’re inclined to believe it. 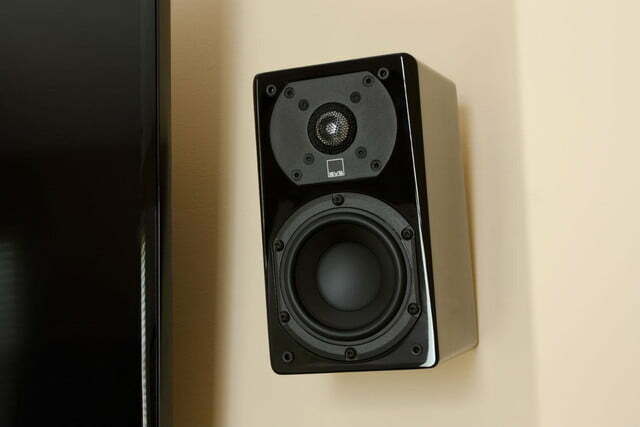 SVS paints its mid-sized components as equally adept at reference monitoring, or covering the surround channels of your home-theater masterpiece. 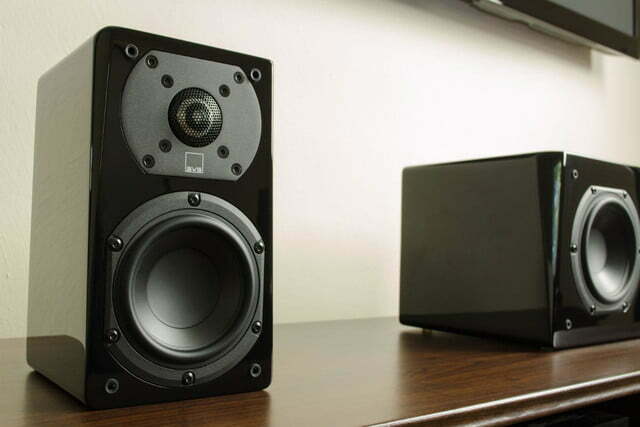 The two-way shelf speakers borrow the hefty 6.5-inch woofers from the patriarchs for powerful bass response, paired with the same 1-inch aluminum dome tweeter, as well. 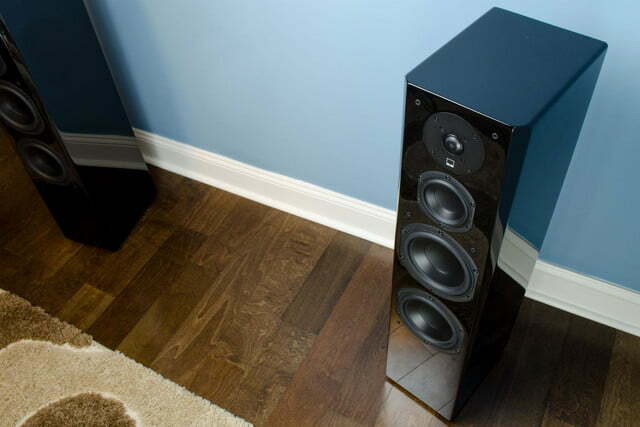 Calling again to its premium Ultra series, SVS claims the Prime Bookshelves land incredibly close to the performance of their pricier predecessors, promising “stunning clarity and dynamics,” in a more affordable package. SVS is pretty proud of its Center speaker, which uses four drivers in a three-way configuration, including dual 5.25-inch woofers for rich bass response, a 3.5-inch midrange driver to ensure full, present dialog, and the series’ 1-inch aluminum dome tweeter for “airy” treble extension. SVS claims that its SoundMatch crossover design splits the three registers evenly for a smooth ride from top to bottom, and the speaker even houses the midrange driver in its own sealed compartment to help keep every word of dialog clear as crystal. 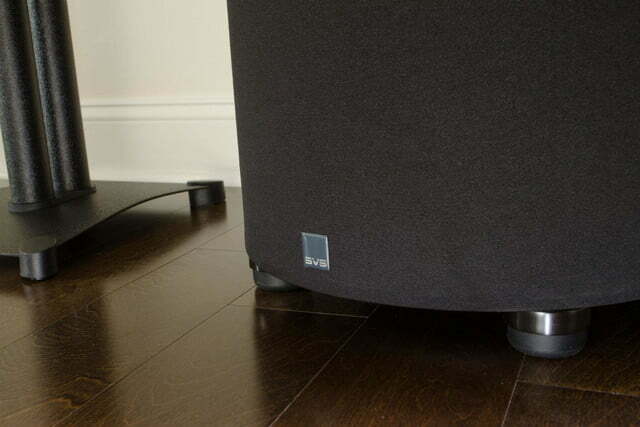 With its first-ever effort in the genre, SVS’ satellite speaker seems to be the company’s new darling. 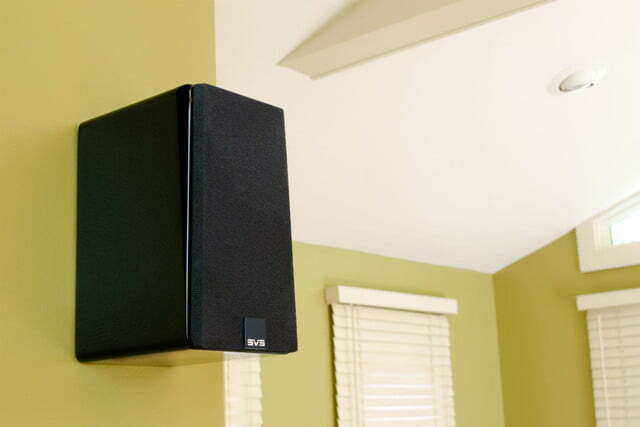 The speakers are claimed to be specifically voiced to match perfectly with both the Ultra and Prime series components, and are also designed to be versatile enough for use as as front, surround, and center channel speakers for listeners looking to build a smaller and more affordable surround sound system. Drivers include a 4.5-inch woofer, and the 1-inch aluminum dome tweeter in a nimble, two-way crossover design. 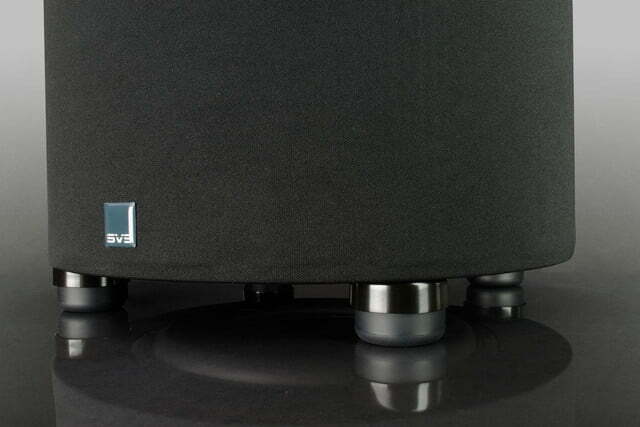 Finally, SVS returns to its roots with the PC-2000 sub. SVS has always known how to make bass both rumble and purr, and the PC-2000 looks to be no different … except for its exterior design. 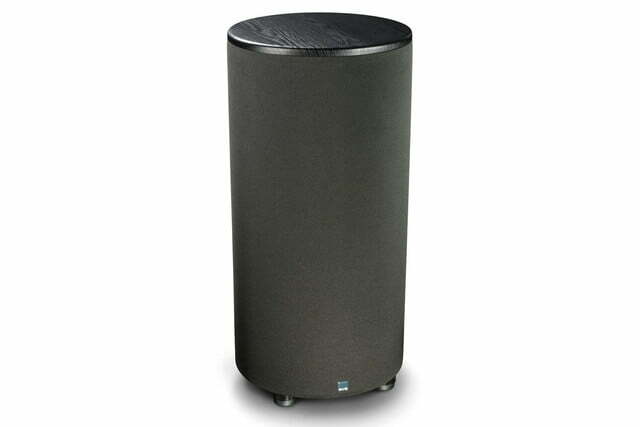 The fresh look is a modernized take on the company’s original cylindrical subwoofer. 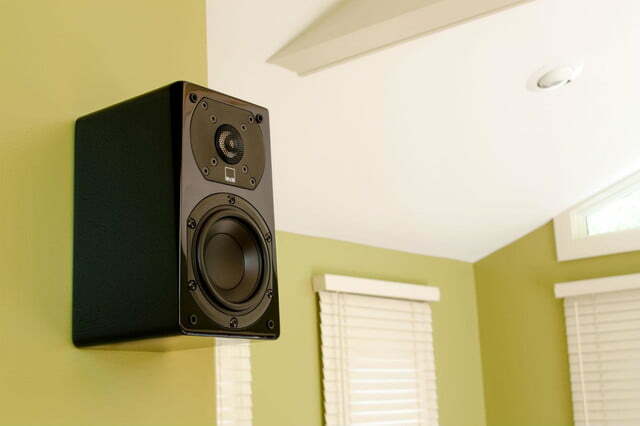 Inside the column, the PC-2000 hosts a down-firing 12-inch driver spawned from nearly 20 prototypes, which is decoupled from the floor to offer tighter bass with less rattle. 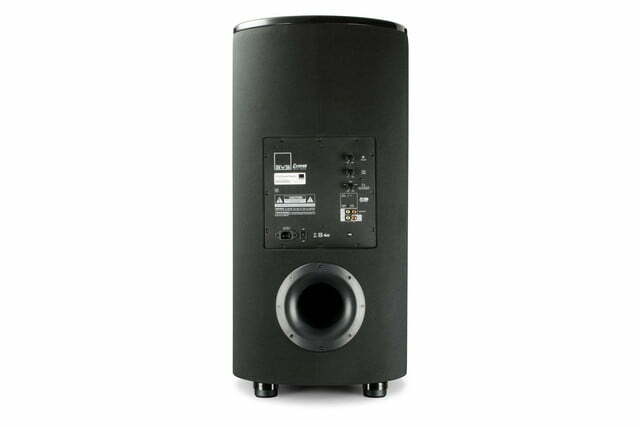 The sub also promises to keep the sound from pounding the floor, helping to keep the peace with the neighbors downstairs. Like other SVS subs in the 2000 series we’ve checked out, the PC-2000 employs the aptly named Sledge STA-500 amp, which pushes a claimed 500 watts, with 1100 watts at peak dynamic, and houses an adjustable limiter/compressor algorithm to tighten things up to your exact specifications, as well as volume, gain, and phase controls. Frequency response for the sub is a claimed 17-200Hz. 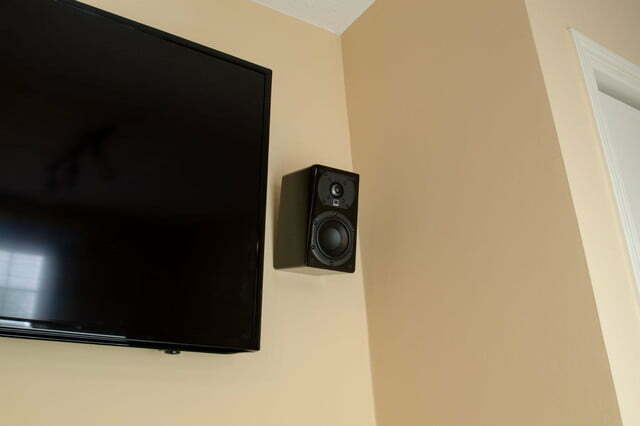 With a myriad of tricks plucked from its big brother Ultras, the gorgeous new Prime series looks poised to offer a powerful and dynamic home theater experience, while pulling a lighter load from your wallet. And the PC-2000 offers all the tricks of the rest of the mighty 2000 series, in a design that is sure to get some attention. 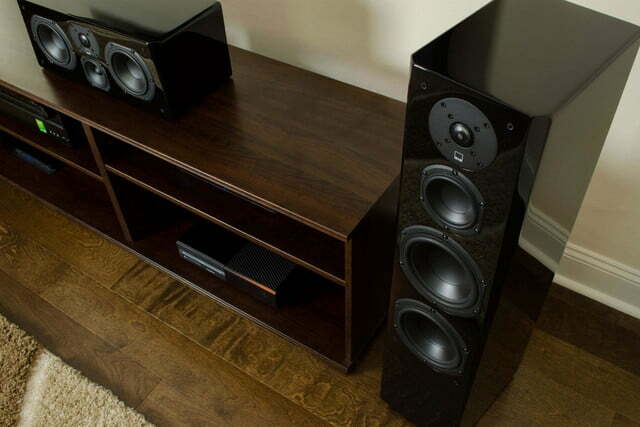 Both the Prime Series speakers and the PC-2000 will be on display today at the Rocky Mountain Audio Festival. The Prime speakers will be available for purchase today as well, while the PC-2000 is expected to be available in late November.